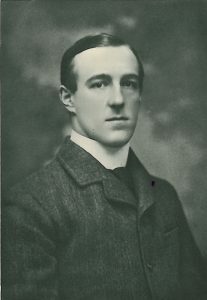 Was born in 1880, and educated at Eton and Sandhurst. He succeeded to the title in 1899, and in that and the following year saw service in South Africa. He is a keen sportsman, and has taken a great interest in yachting. 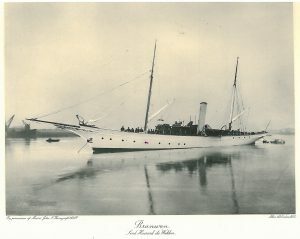 As owner of the s.y. Highwayman he has cruised exten­sively in British and foreign waters. The Highwayman was built by Messrs. Camper and Nicholson at Gosport from designs by Mr. C. E. Nicholson. She is a serviceable and seaworthy craft. He is at present owner of the s.y. Branwen, 151 tons, built in 1905 by Messrs. John I. Thorneycroft and Co., Ltd.
Resi­dence: Seaford House, Belgrave Square, S.W.